So easy and so good! 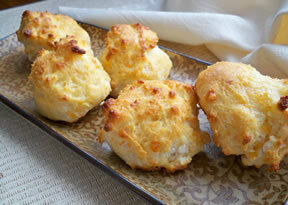 These no-fuss biscuits are a great addition to any meal. Baking them just before you eat and serving them warm makes them even better! Combine first 3 ingredients together until a soft dough forms; beat vigorously for 30 seconds. 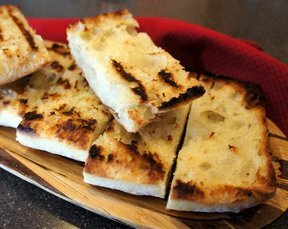 Drop dough by rounded tablespoonful onto an ungreased baking sheet. Bake at 450Â° F. until golden brown about 8-10 minutes. 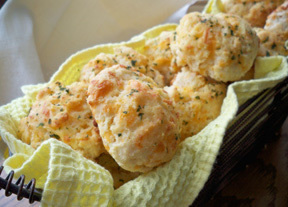 Whisk margarine and garlic powder together, spread over warm biscuits. Makes about 1 & 1/2 dozen. 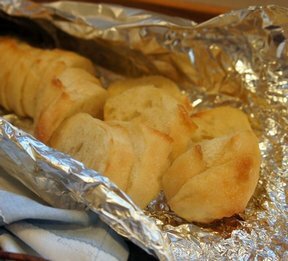 "We love to have bread with our meals but I never want to go through all the work of making yeast bread so a recipe like this is perfect for us. These were really easy and so tasty!"